She’s good at cooking, and she loves eating salad wraps. She lived in New Zealand for two years. She loves playing sports, and she said she played soccer, volleyball, ice skating, and more. Her father works in a café. We’re sure all of you have heard the hit song “Break It”, and sung along to the likes of “Honey” “Mister” and “Step”. We know you know the dance moves by heart, and can name all the singers off hand. Yes, you guessed right. We’re talking about Korean pop group Kara, comprised of Heo Young-ji, Park Gyu-ri, Han Seung-yeon and Goo Ha-ra. The group started off as a quartet with consisting of Park Gyuri, Han Seung-yeon, Kim Sung-hee, and Jung Nicole. Later on, the line up changed when two of the members decided to leave the group for various reasons. Replacements were found in the form of Goo Hara and Han Seung-yeon. The group had its comeback in 2008, starting with M! Countdown. Park Gyuri has attributed their increase in popularity to their “pretty but natural” appeal, while media reports gave credit to the band for finally finding its own identity in the music industry after the group’s debut. But are the members of this girl group really “natural” or is it all down to plastic surgery? 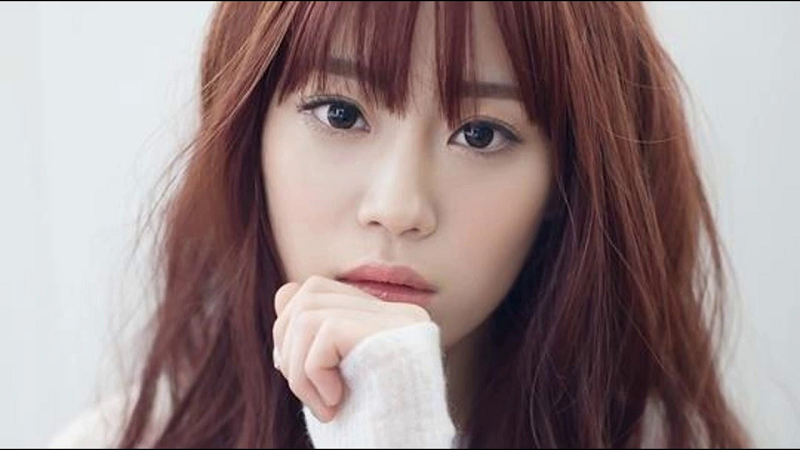 Yongji is barely 21, but already has an impressive resume in the Korean entertainment industry. Do you think plastic surgery is one of her past times? They say our noses and ears never stop growing, even if everything else does. This is due to the forces of gravity as well as the fact that cartilage keeps growing. If this is so, that would explain a lot. But even then, it wouldn’t explain the drastic nose transformations of some K-pop celebrities. Case in point: Heo Yongji. The songstress is sporting a vastly different nose from what she had when she was a kid. You can’t blame gravity or cartilage growth for an increased bridge height or changing the nasal tip, as seen on Yongji above. Is it gravity or rhinoplasty? Common sense, with the before and after pictures above, tell us it’s the latter. We’re starting to think no Kara member’s plastic surgery makeover would be complete without doing something to their eyes, and Yongji proves us right in this before and after photo collage. She has lovely almond shaped eyes, the only drawback is that they’re a little too short at the inner corners and as usual, there are no double eyelids. Most Koreans get double eyelid surgery as their graduation present, and we think this is probably what Yongji received for her graduation. Perhaps mum and dad might have thrown in a little epicanthoplasty too to top it off, considering the corners of her eyes have also become wider since.